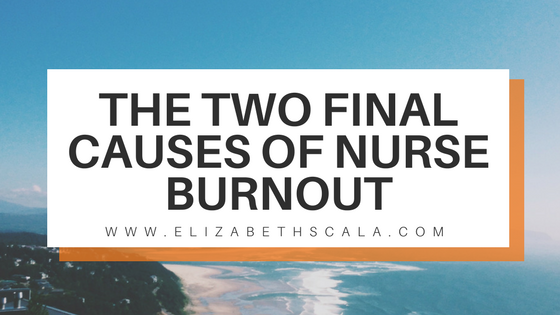 In this final post in the three-part series, we will review the last 2 nursing burnout causes. However, if you would like more information and dozens of strategies for dealing with the nursing burnout dilemma, check out the book: Stop Nurse Burnout. If you think back to your own personal work experience—both as a nurse and before you started nursing—you will see this is probably true for you too. Nearly everyone has had the experience of quitting a good job because of a bad boss. The work was pretty good, but the hostility or ineffectiveness of your boss is what drove you out of that job. Since most nurses are in an employee role, this means your boss has a massive influence on your stress levels at work and your quality of life itself. The stress that comes from a bad or missing boss functions independently from the remaining four nursing burnout causes. You can love your work and your life and recognize all your programming (see below), and still be driven from your job by a terrible boss. This topic is so important; we have dedicated a full section of the Stop Nurse Burnout book to the skills of Managing Your Boss. Look for it in Chapter 5, where we will also show you how to radically upgrade your own leadership skills. When I first started working with burned-out nurses, I often ran into mysterious brick walls. I would point out something obvious they were doing to make themselves miserable, and it appeared they were incapable of seeing what I was seeing. It was talking to a fish about water again. It became clear over time that nurses have a network of blind spots in their awareness. There are a set of things about being a nurse they can’t see that they can’t see. I saw these issues clearly from the outside, but only because I had been out of the day-to-day of floor nursing for several years. The general public sees these unique features of being a nurse quite clearly. Often, they think this is just how nurses are. You can hear it in their language: “Nurses care for everyone but themselves” or other similar pronouncements. From my perspective, it is clear that nurses are not born this way. I believe there is no such thing as a typical nurse personality. The people underneath the RN are always unique and as varied as any segment of the normal population. Yet, as nurses, we are actually conditioned to think and act in a very similar fashion from nurse to nurse. We are taught to play the role of nurse in a very specific and standardized way. It was only when I recognized I was witnessing true conditioning—brainwashing, if you will—that I was able to fundamentally change the way I approach my career as a nurse. Understanding that subconscious conditioning is often driving your behavior —ambushing you from a blind spot in your awareness— will help you see this as maybe the most difficult of nursing burnout causes. Remember too that this is subconscious. These are things you can’t see that you can’t see. Things you don’t know you don’t know. They sit in blind spots created by your nursing education. I encourage you to read the following section at least three times or consider reading it with your significant other or a good friend to bring your conditioning fully into the light of day. Here are the five major “flavors” of conditioning I see in nurses. There are many more minor aspects of conditioning nurses exhibit, but these are the big five that most commonly get in the way of our happiness. Before they became subconscious conditioning, we learned each of these as distinct and very useful skill sets. Let’s face it—there were hundreds of times in your nursing education the skills of a workaholic or a perfectionist or a person who is capable of being emotion-free came in handy. In fact, you could not have become a nurse without them. In an ideal world, you would have been taught to use them the way a carpenter uses the tools on his belt. You pull out a hammer when it is the best tool for the job at hand. You use it to drive in that nail, and then you slide it back into the loop on your tool belt where it belongs. When you are done with your power tool, you turn it off and put it away. When you are done with work, you take your tool belt off and put it away until your next day on the job. Early in our education, we hone and practice these skill sets constantly. We become experts in their use, even as undergrads. We need them just to survive the training process of nursing school . No one ever showed you how to turn your tools off and put them away. We have no tool belt we can simply unclip and hang on a hook when we get home. Very early in our education, we actually become our tools. We become workaholic, superhero, emotion-free, Lone Ranger perfectionists. Without knowing how to turn them off and put them away, we start to live our whole lives this way. People outside of nursing look at nurses and think, that’s just the way nurses are. What they are really seeing is this deep, comprehensive, and subconscious conditioning. This is one of the prices we pay to survive the education process. It sets us up for burnout down the road. Recognize your workaholic programming when your only solution to any problem is to work harder, and you get angry at people who don’t work as hard as you. Recognize the superhero programming when you feel you should save everyone or get very upset when you can’t. 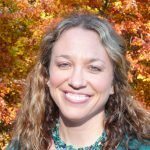 Recognize your emotion-free programming is in play when you notice you have feelings about a specific patient—and immediately feel guilty or inadequate for not being the perfect emotion-free and detached clinician. Recognize the Lone Ranger programming when you are stuck in the maze of doing everything yourself, despite having a team around you. Recognize the perfectionist programming when you agonize over details that are not clinically relevant, or chastise patients and your staff for minor imperfections. 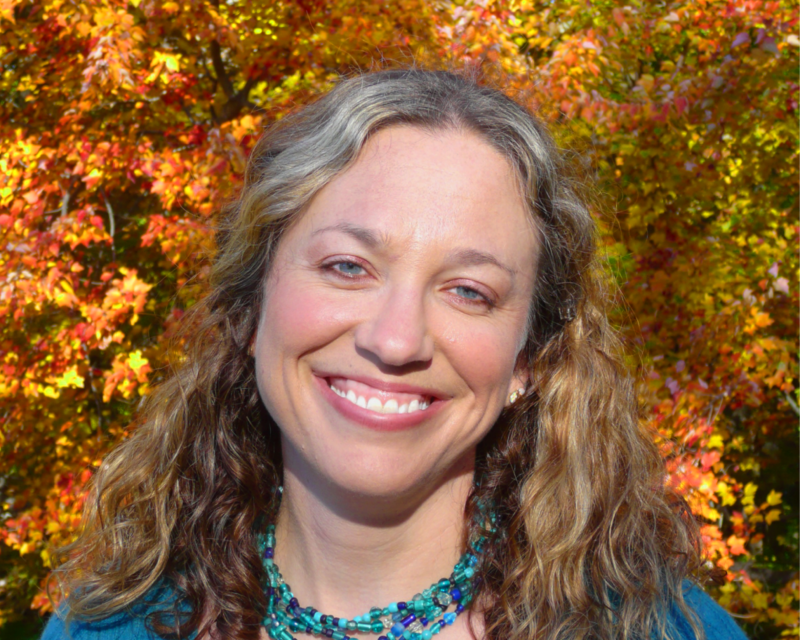 If you happen to be an over-stressed and burned-out nurse, this programming actively gets in your way when you are trying to turn the downward spiral around. One of the keys to your recovery is recognizing the difference between your voice and the voices of these programmed pieces of your nurse persona. In addition to the five main “flavors” of programming listed above, we are deeply conditioned to operate by two prime directives. This mantra sets up a pecking order. Patient first . . . me somewhere down the line. This is in direct conflict with the first law of burnout: you can’t give what you ain’t got. Your ability to care for a patient is completely dependent upon maintaining a positive balance in your energy accounts. The patient simply cannot always come first. You must have time where you put yourself first in order to recharge. This makes the same sense as third-grade math, but this basic truth seems to be hidden in most healthcare workplaces. This prime directive is a direct block to recharging. If you operate by the principle of the patient comes first at all times, this mindset is a major cause of your stress and burnout. It is the source of your guilty feelings when you actually block out time for yourself and do something “selfish” like read a book or take a nap in your time away from work. The thought that this activity is selfish comes from your workaholic programming. You see that, yes? If you look at other professions that put their “client” first, you will have a who’s who of the highest burnout industries. A partial list includes hotel, restaurant, and other hospitality categories, counselors and teachers, healthcare, law enforcement, and active-duty military. The patient comes first is a recipe for burnout if there is no off switch or protected space from its command. Remember back when you were a new grad. Imagine your charge nurse coming to you and asking, “Hey, how are you doing? You look beat. Do you need any help?” What would you have said in return? Be honest. “What? I’m fine. Don’t need a thing. Couldn’t be better. A break? No—I’ve got an admission from the ED. I can eat later. I’m good.” Or something along those lines. Our education is a gladiator-style survival process. The last one standing is seen as the “good nurse.” If you show signs that you “can’t take it,” you are shuffled off to the side and avoided like a leper. This conditioning never goes away. It actively blocks our ability to recognize when we are not okay. It completely blocks our ability to ask for help, no matter how far into the downward spiral of burnout we may be. I personally believe it is part of the reason nurse turnover rates are as high as they are and growing exponentially. Realize no one actually tried to do this to you on purpose. There is no one to blame here. It is important to note that despite the power and the comprehensive nature of the conditioning of our education, no one tried to do this to you on purpose. The faculty in your nursing school did not plot to instill these blind spots in the break room while you were out on the units. The forces that condition nurses are woven into the fabric of the experience of your education going back generations. The power of this conditioning is immense. The key to the depth of our brainwashing is the intensity and length of the education process we use to produce a nurse. Do you know anything about basic training in the military? It lasts six to twelve weeks, depending on the branch of service. We all know basic training is a conditioning process, right? By the time that brief but intense process is through, an eighteen-year-old recruit will walk into a live-fire exercise when asked to do so. The only reason they follow that insane request is because their conditioning now sees that as an “order” they must obey. Minus the deadly weapons, do you think nursing school was any less intense than military training? Add up the years between your first day of your nursing education and the day you became a nurse. How long was that for you? Do you think it is possible you were conditioned just a tiny little bit in that time? Let’s hear from you! What other nursing burnout causes could you come up with? And be sure to check back for the last two causes!! Or, want all five nursing burnout causes at once (AND THE RESOURCES to prevent them?? 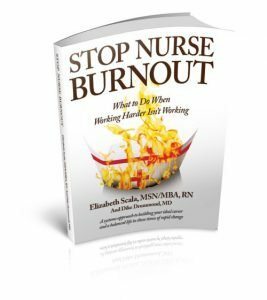 )… Check out the Stop Nurse Burnout book for all five nursing burnout causes and the strategies to end them. As a retired nurse, I am glad I don”t work anymore. Major problem with burnout is that the patients are getting sicker, the technology more advanced. The patients I had been taking care of the past decade would have been dead years ago. I had practiced as a nurse for 39.5 years and I will say the thing that prevents burnout is GOOD MANAGEMENT. I worked in intensive cardiac care nursing and we have had longevity of staff for 20-30 years. Yes I have always told people, “you are number one” then your patient. Love your input, Eileen. Thank you. What an insight- related to the management. Yes, you are so right. Good management is critical. Appreciate you taking the time to share your thoughts.